Home » Posts Tagged "Engineering Ambassador"
Imagine yourself in this situation: you go to a presentation (at work, in a class, at a conference) and you’re determined to learn something new. You’re with the speaker at the beginning—he (or she) introduces himself and mentions his affiliation. Maybe you even understand the title of his talk. So far, so good. Then, before you can even prepare yourself, he launches into the core of his talk, complete with full paragraphs on his slide (of which he reads every word), charts with axes at size 2 font, out-of-control laser pointing, acronyms you don’t understand… And you start thinking about all of the less painful things you could be doing with your time. Death by PowerPoint—we’ve all been there. Penn State professors Michael Alley and Melissa Marshall are actively changing the stereotype that engineers and scientists are poor communicators. Termed the “Assertion-Evidence Approach,” their advocated slide design employs the use of two simple concepts. On each slide of a presentation, determine the most important message (which is a full sentence) of that slide and put it at the top, where the audience can readily see it. Then, support that assertion with visual evidence. Professors Alley and Marshall regularly travel worldwide giving lectures and communications workshops, and are sought out by both industry and academia alike. At Penn State, they devote their time to training their students, ensuring that their legacy carries on. Their students develop as confident speakers and, as they transition into their roles beyond Penn State, continue to spread the Assertion-Evidence message. A revolution in scientific communication is coming and it has its roots in Penn State. As the Assertion-Evidence technique spreads, the important messages from our scientists and engineers impact a continually widening audience. The benefits of strong scientific communication never end; one day, perhaps even in the near future, poor presentations will be in the strong minority and we can all be prepared to learn about the new, exciting, innovative developments our scientists and engineers make every day. For more information on The Assertion-Evidence slide design, visit http://www.writing.engr.psu.edu/speaking.html. Katie Kirsch is a Ph.D. student in the Experimental and Computational Convection Laboratory (ExCCL) at Penn State. Her research focus is on the cooling of turbine vanes and blades in gas turbine engines. She has also conducted research in the area of gas turbine heat transfer at the Karlsruhe Institute of Technology in Karlsruhe, Germany. Additionally, she is involved with the Engineering Ambassador Alumni Association and the Women in Engineering Affiliated Program Group. Katie graduated from Penn State with a B.S. in mechanical engineering and a minor in engineering leadership development in 2011 and an M.S. in mechanical engineering in 2013. You are invited to participate in Blue-nited We Stand! Please help the One Heart Campaign and Engineering Ambassadors spread awareness of child abuse by wearing navy blue on Friday, April 12th! The Engineering Ambassadors are supporting their cause to raise awareness for child abuse by promoting theBlue-nited We Stand event in the College of Engineering. By participating in this event and wearing blue on Friday April 12th, the College of Engineering, the Smeal College of Business and companies and schools across the state to raise awareness for child abuse. Shane Haydt grew up in a family of Penn Staters, but kept it at the bottom of his list when he started his college search. Determined to find a school that fit him best, Haydt narrowed the list down to just two schools, Penn State being one of them. After a visit to Penn State and attending a white-out football game, he quickly changed his mind and Penn State was the only school he applied to. Originally from Lehighton, Pa. Haydt is a senior majoring in mechanical engineering and truly making the best of his Penn State experience. As a freshman, Haydt founded the Theme Park Engineering Group with Chris Noveral, who is a clarinet in the Penn State Blue Band along with Haydt. The group does tours of amusement parks, tours of roller coaster design companies, original design projects and trips to conferences. Within engineering, Haydt is an Engineering Ambassador (EA) and really enjoys the middle and high school visits that he gets to do with the organization. He says his motivation for wanting to be involved is to ensure that what happened to him doesn’t happen to anyone else. Haydt was always told he should be an engineer because he was good at math and science, but his school didn’t really help him learn about what engineering really is. Haydt’s involvement in extra-curricular activities doesn’t stop there. 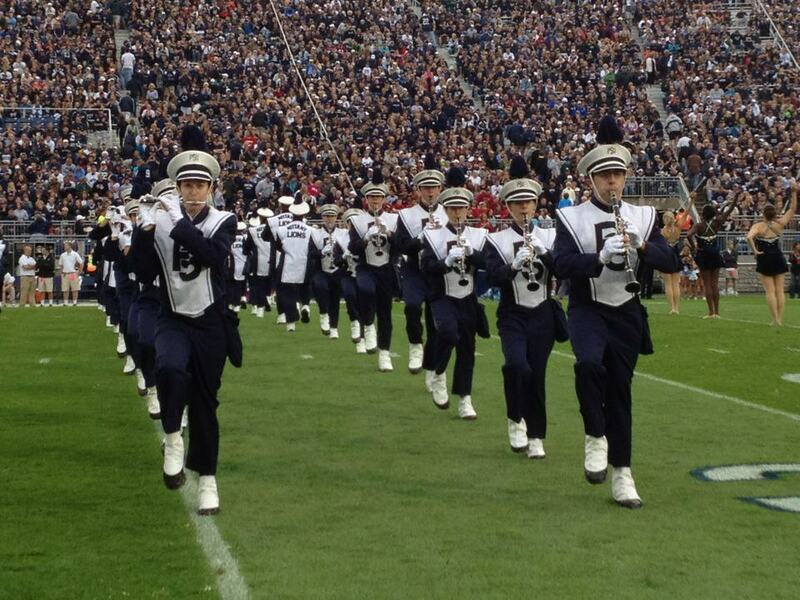 On every game day in Beaver Stadium, Haydt is the lead clarinetist taking the entire band onto the field to set up the band’s traditional pregame performance. Haydt has been one of the leaders of his section for the past two years. He chose to get involved in the band because he’s been going to games with his dad since he was a kid. 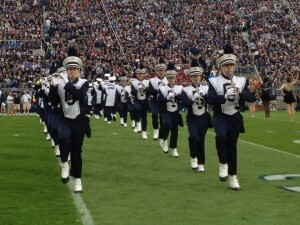 Haydt says the Blue Band rehearses four times a week for about 3 hours a day during the football season in addition to the entire game day experience and other performance requirements held throughout the season. 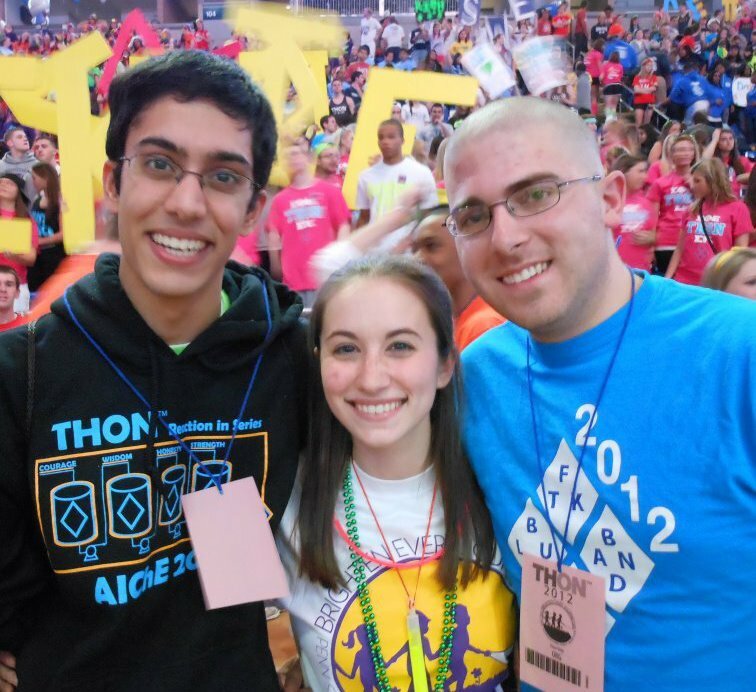 He is an active member in the Blue Band’s THON organization as the treasurer and is the treasurer for the American Society of Mechnical Engineers. Haydt is also a math tutor for Penn State Learning. With a lot on his plate, one would wonder how he can do it all. Haydt is also working on an honors thesis with research that he started during an internship last summer with Pratt & Whittney in Connecticut. He is researching ways to make the internal cooling of turbine blades in airplane engines more effective. Following graduation Haydt plans on going straight into graduate school and on to get his Ph.D. in mechanical engineering. His dream is to become a professor one day and he says his super dream is to become a professor at Penn State. From not wanting to come to Penn State, to making it the only school on his list, Haydt is an ambassador for Penn State in countless ways and will one day educate the world’s finest.